It has brought together an important and growing number of companies offering products and services to the renewable energy sector, especially in the wind energy sector. This sector is of particular importance to the Energy Cluster, having as one of its standards the Offshore Wind Energy Basque Country brand. ESchain’s objective has always been to improve the competitiveness of components, equipment and services in this sector. 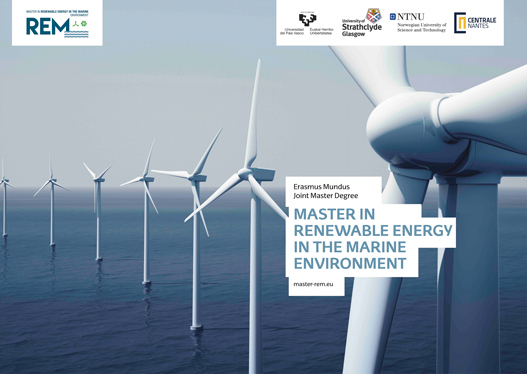 The Working Group of the Technological Action Plan (PAT) 18 promotes Naval and Oceanic Engineering in the field of Marine Renewable Energies, particularly offshore wind or offshore wind farms. One of its top activities is the development of its Technical Conferences, which are held annually. The Technical Conferences bring together a large group of associates, collegiate and professionals of other specialties, related to ENERMAR. Is a non-profit foundation formed by UPV-EHU, TECNALIA FOUNDATION and DONOSTIA INTERNATIONAL PHYSICS CENTER (DIPC), whose main objective is looking to recruit a collaboration analyst to work with the so called “Poles of Knowledge”, which are open spaces created for multidisciplinary and inter-institutional collaboration, aiming to solve nowadays global challenges. It is devoted now to give support to the REM. Is a company specialized in the development and manufacture of cable and pipe seals (sometimes known as multi-cable transits). Roxtec’s products are designed to seal cable and pipe penetrations in order to protect from multiple hazards including fire, water, gas, dust, vibrations, electro-magnetic disturbances, vermin, and the risk of explosion. The company’s main operating sectors include power, marine, oil and infrastructure.